XYZ is back after a twelve year hiatus. Having enjoyed the band's self titled debut album and the follow up, Hungry, I was eager to hear Letter To God. I've given this album several listens before arriving at a final opinion since it is quite different from their older material. I feel that this album will split fans into two groups: those who feel that the band has strayed too far from their trademark sound and those who enjoy the new Zeppelin-esque sound. The best way to sum this album up in a nutshell would be to call it a cross between Don Dokken solo material and Led Zeppelin. As fans of the band know, the band's debut album was produced by Don Dokken, and therefore has a very heavy Dokken influence. Vocalist Terry Ilous even sounded very much like Don Dokken on that album. Fast forward to 2003… The band's sound is slower, and nowhere near the LA metal of the previous two releases. As I said, the Led Zeppelin influence cannot be denied. In fact, Touch The Sky sounds like a direct Zeppelin knock off. There are numerous acoustic passages throughout the album which aide greatly to the whole retro-Zeppelin rock atmosphere. Terry Ilous even sounds a lot more like Robert Plant and less like Don Dokken on this album. Jeff Northrup's guitar work blazes throughout this album with quality solos and heavy riffs. However, I do wish the band could have cranked it up more throughout the album rather than plod along in the slow to mid tempo range the entire duration. Just when you get the feeling that a big, energetic crescendo is lurking ahead, the tempo does not change. Suffice it to say that Northrup would have shined even more with only a few more up tempo opportunities. 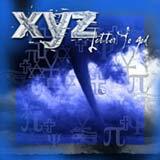 Musically speaking, XYZ puts on a very tight performance for this album. The production is exceptionally crisp, with each component of the sound in perfect balance. As I said, Ilous and Northup shine, but the rhythm section is also very bold. Without a doubt, these guys know how to play their instruments. Although I am pleased with the individual performances of the band members, something is missing. The songs themselves just are not interesting or exciting enough to keep me coming back for more. The melodies are not very strong, and only a couple of chorus lines from the entire album can be remembered when the album is done playing. Hence, the album as a whole is not very memorable, especially when factoring in the lethargic pace of the album. For some reason, the band decided to include two re-recorded hits from their past. Inside Out has been given the 70's retro treatment, and What Keeps Me Loving You has been given a more stripped back, emotional delivery. Neither one of the two tracks surpasses or even equals the original version. When it's all said and done, I feel that die hard XYZ fans and fans of Led Zeppelin style hard rock will enjoy this album the most. All others, especially causal fans of the bands first two album will want to take a more cautious approach to this album. Despite the impressive individual performances on this album, I just don't find enough stand out moments to prevent this CD from becoming buried in my CD cabinet one month from now.